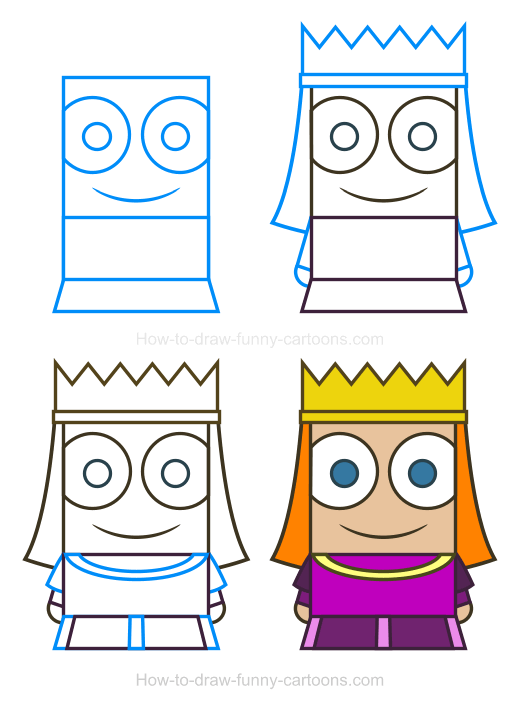 A kingdom would not be functional without a beautiful princess clipart made from simple shapes like rectangles and circles. 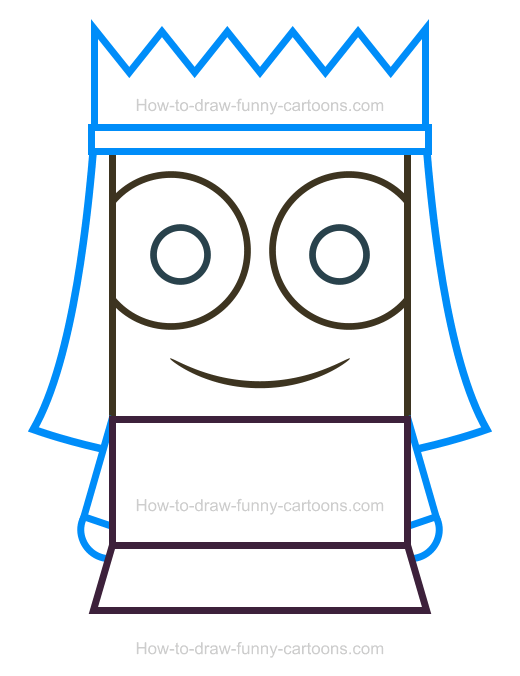 Indeed, I will show you how to illustrate this adorable character in just four easy steps using only basic elements and colors. Princesses are playing a huge role in the life of young girls. They can help children build imaginary worlds that are filled with magic, fun stories and of course, cute princes! Let's see how we can duplicate the cartoon princess found below in just a few minutes. First, let's draw the head using a large square. The body is made of a rectangle using a similar width. The skirt on the bottom of the illustration is also made from a rectangle, but this one must be slightly wider on the bottom. Draw the eyes and the pupils using large circles and create a mouth with a simple curved line. Next, you can add a crown using a rectangle made with a few triangles on top. The hair is made from curved lines. 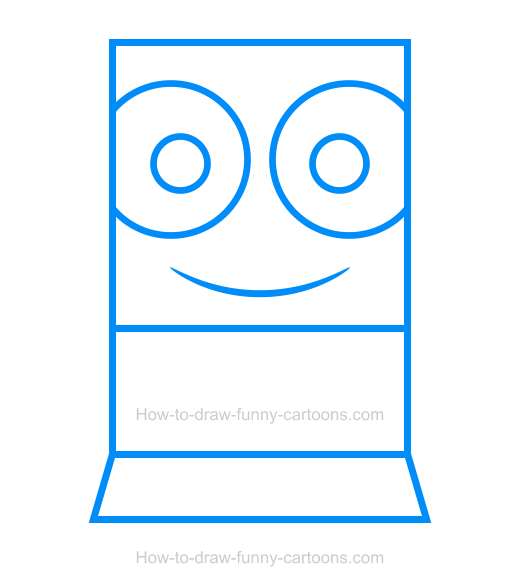 Complete this simple step by drawing the arms using rectangles and the hands using small circular shapes. In this step, let's add a few accessories to make this girl a little more ... royal! On the shirt, draw a couple of curved lines. Some patterns are also added on top of the arms and on the skirt of the cartoon princess. That's it for the drawing part of this tutorial. Let's add a few colors to make this illustration visually more appealing. The hair of the character can be filled with a light orange color. The crown and the pattern on the shirt can be yellow. The pupils are blue and the dress is mostly filled with a few purple and pink colors. That's it! 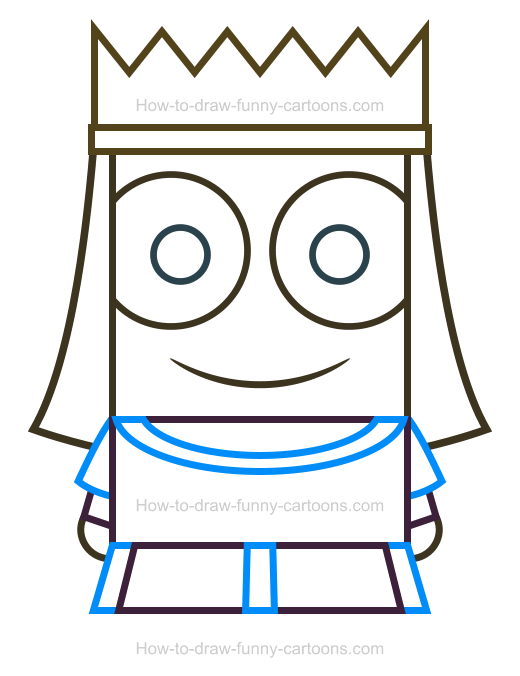 This cartoon princess is ready to be part of the kingdom of your choice! Cool work! 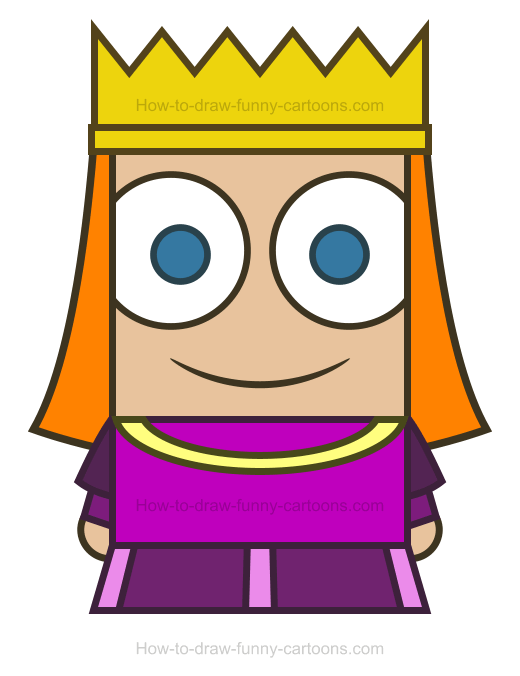 Another fun princess clipart is born!